CHRIS Fagan doesn't agree, but the past few days were good for Queensland footy. 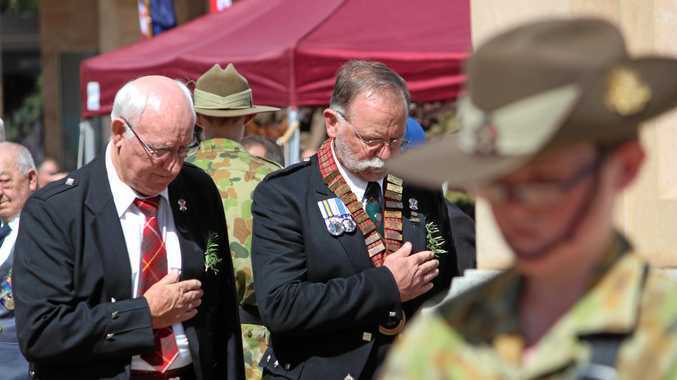 Neither the Lions coach or his Suns counterpart Stuart Dew have been here long enough to build up resentment that the only time the rest of the country gives any thought to footy up here is when a coach is being sacked, a club is in crisis or a high-profile player is walking out. 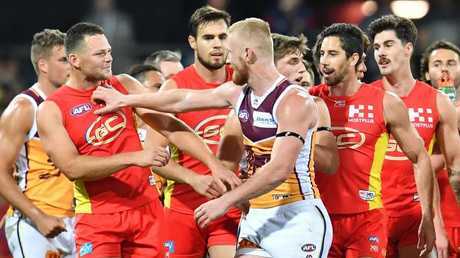 When Garry Lyon said on radio late last week that, after Lion Nick Robertson's "soft" sledge, he would now tune into a game he had no intention of watching, he probably echoed the sentiments of everyone bar Suns and Lions fans. The skills weren't great but what they saw was not what you'd expect from a round 22 dead rubber between 16th and 17th, but a cracking contest that clearly meant something to both sides. Brisbane can now expect their side to have a crack every week and, although they didn't play that well on Saturday night, they finally found a way to win a close game. If Suns coach Dew can get Q-Clash type effort from his men every week, they will soon receive the type of positivity that surrounds the Lions. The important thing now is neither side treat the Q-Clash like it was a grand final and check out a week early. The Suns face a tough task in Geelong, which has been a graveyard for visiting teams and it is difficult to mount any sort of convincing case for them. However, it is not too much to ask for a repeat of the effort they showed against the Lions. Brisbane have a chance to beat West Coast. Fagan went into meltdown over Robertson's comments. He rightly does not want his side to be known for trash talking and went out of way to make private and public apologies to the Suns. However, part of his grumpiness was that it piled the pressure on the Lions. The party line from the Suns' in response to questions about Robertson's sledge was that they were a club that respected all opposition. 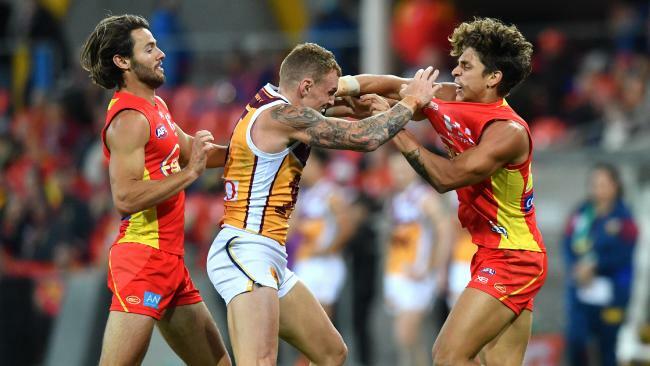 It wasn't the firmest moral high ground considering Touk Miller fired the first salvo, albeit sledge-lite, the day before Robbo lobbed his grenade by saying he had a mental edge over Lions' captain Dayne Zorko. The Suns had no issue with Miller's comments and I bet secretly Dew didn't mind Robertson's that much either. Even though he claims the comments weren't used by him as a motivator for his team, the players clearly were clearly fired-up and brought a level of intensity that's missing too often. The hope is that in time the two sides will be strong enough that the games don't need banter to make them relevant on the national stage. But for now I can live with sledging if it produces contests like that.